At J Davidsons we have been a pioneer in and at the forefront of the vehicle recycling industry for many years now (even before it became “fashionable” to scrap your car). As a result we were one of the first fully licensed treatment facilities for the safe disposal of end of life vehicles in the North West and this accreditation allows us to safely dispose of scrap cars in line with the end of life vehicles regulations act of 2003. But what is actually involved in scrapping a car? With J Davidson Scrap Car – Manchester, scrapping your car couldn’t be easier. 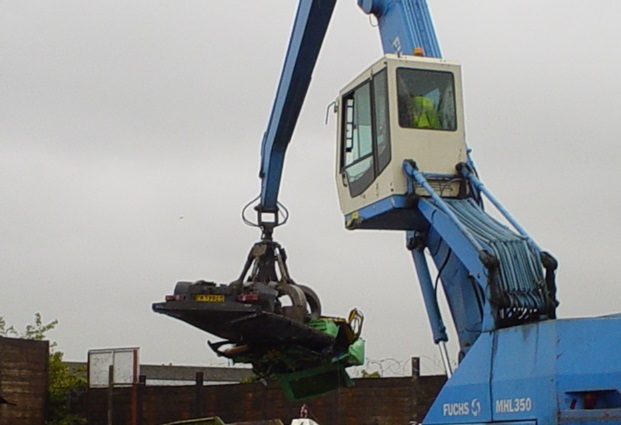 We operate a free scrap car collection service across the North West including Manchester, Warrington and Cheshire. Simply call our team and one of our friendly drivers will come to your home, place of work, garage or even the side of the road and you can be confident that we will scrap it in a legal, safe and environmentally friendly way. After we have winched your scrap car onto one of our (renowned) trucks we will then begin the straightforward process of notifying the DVLA. As we are an authorised treatment facility we have a direct link to the DVLA so we can immediately send confirmation that your car has been destroyed and you are not liable for the road fund license. We will take your vehicles log book and in return we will give you an official Certificate Of Destruction (COD) and the CASH for your car. It’s as easy as that, the entire transaction can be done on your door step and all you had to do was pick up the phone and call 0808 252 7162. So if you’re thinking of scrapping your car and you live in the North West then contact us at J Davidsons Scrap Car – Manchester, and we can help you recycle your vehicle safely, legally and in an environmentally friendly way. This article was posted in Scrap Metal, Scrap Metal in Manchester, Scrap Metal Processing, Scrap Metal Processors, Uncategorized and tagged scrap cars, Scrap your Car in Manchester, vehicle recycling. Bookmark the permalink. Follow comments with the RSS feed for this post.Both comments and trackbacks are closed.